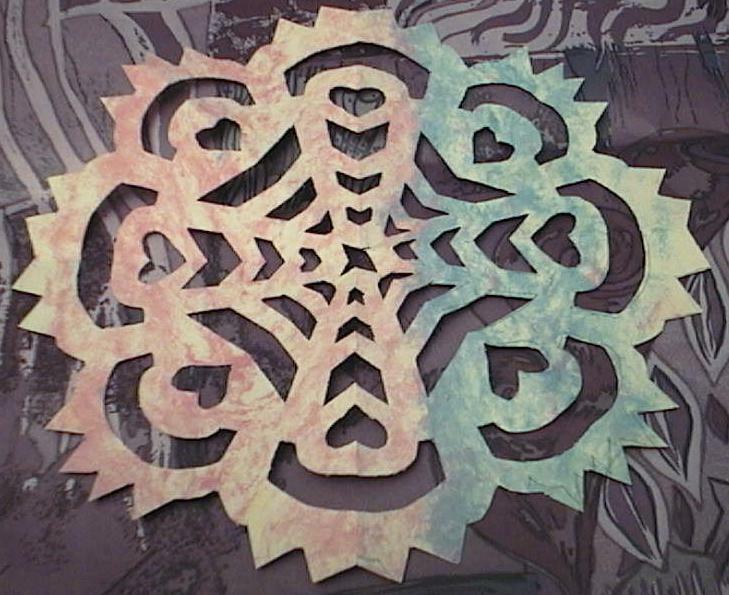 Yep, I know, they look a lot like paper snowflakes (but notice they have 8 sides, not 6!). If you try this craft with children under age 8, you'll likely end up doing most of the work! 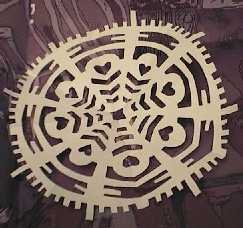 (age 6 to 8 can likely do a simplistic version with fewer cuts). Click here for a larger photo of the construction paper star or here for a larger photo of the white paper star. Close the photo window when done viewing to return to this screen. Gwiazdy means "stars" in Polish. 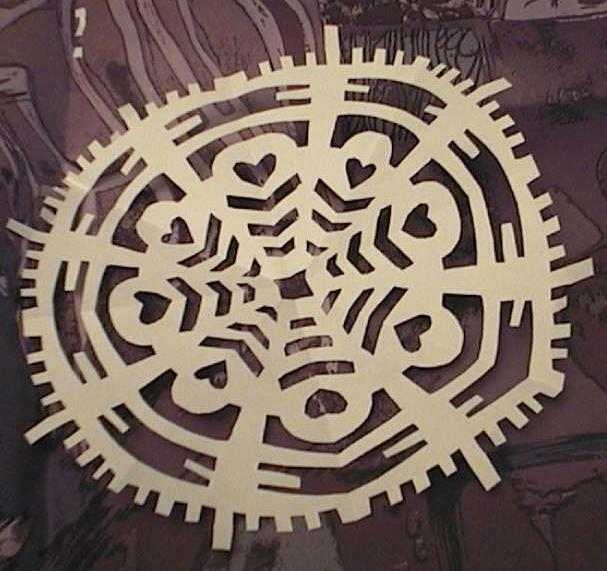 This paper cutting craft typically has geometric designs and is from the Kurpie and Lowicz regions of Poland. 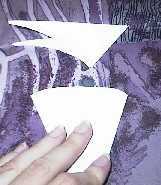 Then in half again to make a square. 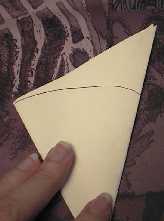 Now fold in half one last time (corner to corner this time) to make a triangle. 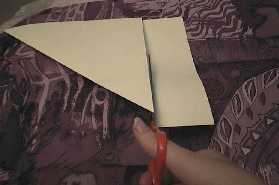 Draw a curved line and cut off the top of the triangle. 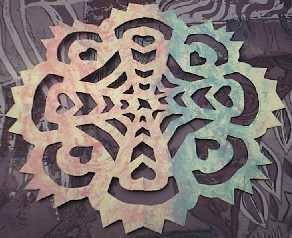 Draw a symmetrical design (same on both sides). 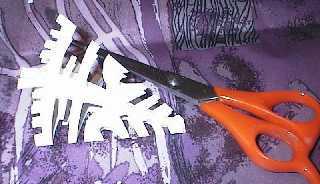 Don't draw any cuts all the way through or you'll end up with confetti instead of a star. And cut out along the lines you drew. Unfold and admire your beautiful creation. 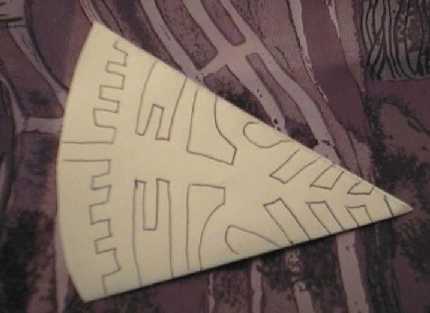 You can make it out of construction paper instead of plain white paper for a bit of variety.